There is nothing quite like a backyard fireplace. Sitting around a beautiful fireplace with friends and family on a cold winter night in the comfort of your own backyard is an experience like no other. Here at Houston Outdoor Kitchen Pros, we make sure every single customer can have this experience whenever they desire. The Backyard Fireplace WOW Factor! 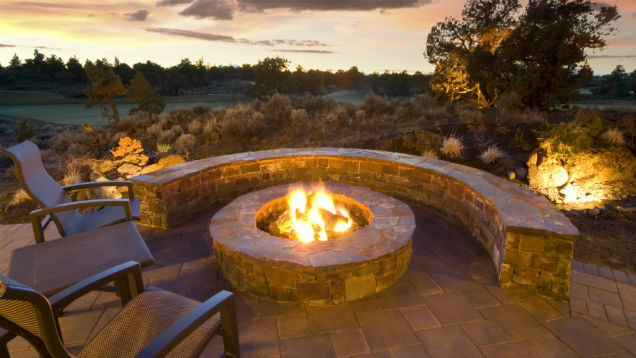 All of our outdoor fireplaces are constructed with quality and reliability first in mind. Only the finest materials are used in our fireplaces. We also put all of our effort into each and every one of our clients in order to construct a reliable, eye appealing product each and every time. Don’t delay, get started today! We want to build you your very own custom backyard fireplace today! Contact us at (832) 409-3542 for a free consultation.